Soldiers of the 7th Infantry Division use a M1-1 flamethrower on a Japanese-held bunker. The M1-1 was a man-portable backpack flamethrower that had a "burn time" of around 7 seconds. The flame was only effective out to around 33 meters. It used gasoline or diesel fuel and hydrogen propellant. It was employed by engineers at first. The actual combat employment of the flame thrower in the Marshall Islands failed to justify fully the extensive preliminary training program. Happily, Japanese defenses on Roi, Namur, Kwajalein, and Eniwetok, pounded by a 3-day preinvasion bombardment, proved less formidable and Japanese resistance less stubborn than had been anticipated. As a consequence, the flame thrower was not needed in the assault phases of the amphibious landings, but was confined to mopping up operations and to the elimination of enemy personnel from underground shelters and fortifications. An analysis of the Marshall campaign also indicated to Army and Marine leaders that trained infantrymen as well as engineer troops were required to operate the flame thrower. 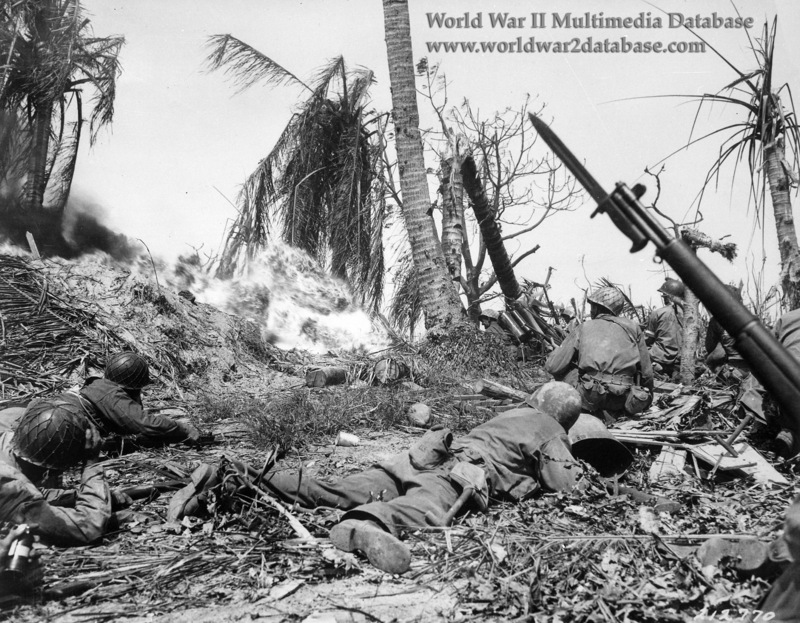 After the Marshall Islands operation infantrymen became the primary users of the weapon in the Central Pacific.